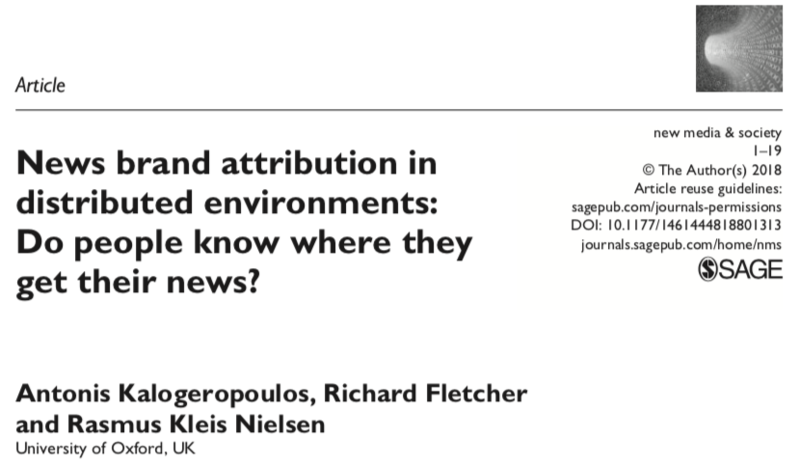 INMA: Research Project - News brand attribution in distributed environments: Do people know where they get their news? an innovative research design based on the combination of passive tracking and online surveys. The research design has two phases. In the first, the Web use of a panel of individuals is tracked passively. In the second, the same panel’s individuals are surveyed about their news use. The first phase acts as a ground truth against which the survey data are compared. This allows us to record what news stories are consumed by panelists survey responses against these data.